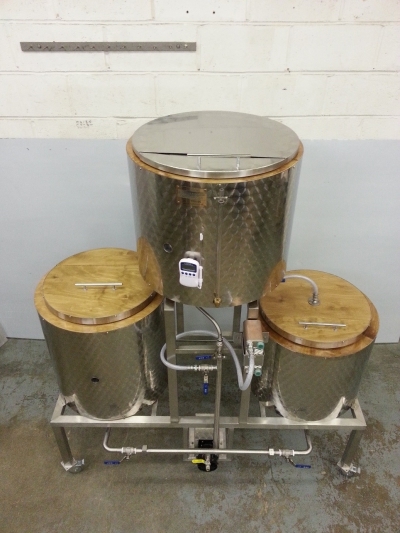 If it's happened before, I've not heard of it - a kindly engineering company has donated a complete 100-litre brewery (they call it a microbrewery, I'd call it a nanobrewery) to be raffled for charity. 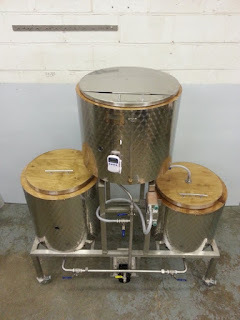 The donor is Elite Stainless Fabrications of Swindon, which makes brewing kit of all shapes and sizes, and the charity is Swindon Women's Aid which despite the name says it provides support to all victims of domestic abuse, regardless of gender or orientation. Tickets are £5 each and can be bought online or by phone - I've bought mine. I'm not sure where I'll put my brewery, but it looks like a nice piece of kit!